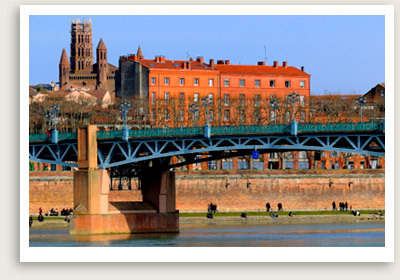 Garonne Villages Tour Includes: Private transportation, English speaking tour guide, taxes, tolls and parking. Join one of our private tours or shore excursions from Bordeaux and explore charming Garonne villages and some of the most interesting architecture in the area. This privately guided shore excursion features the villages of the Entre-Deux-Mers area, not between two seas as the name translates, but two rivers, the Garonne and the Dordogne. After a drive along the Garonne River, lined with mansions and chateaus, you will arrive in the Medieval village of St. Macaire. This village stands apart from its neighbors for having carefully preserved nearly all its architectural heritage — city walls, gates, and houses – giving the village the feel of a place where time stood still. You can stop and have a lunch break here; there are several interesting restaurants serving authentic, fresh regional cuisine. After the visit to St. Macaire, you will continue your private tour and drive to the hill town of La Sauve Majeure to discover one of the most spectacular monuments of the region. Founded in 1079, its Benedictine Abbey is considered of the most beautiful Romanesque landmarks in southern France. You will have time to explore the Abbey and soak up its serene green views before heading back to Bordeaux.